The Spring 2018 Equiparts Sales Meeting was a very motivational and informative event. Big thanks to all of our presenters and attendees! These meetings are an important part of the ongoing process that keeps our sales reps up-to-date about the products and manufacturers we carry, as well as changes in the industry. This year, we had a motivational speaker address our sales team to energize and inspire them. 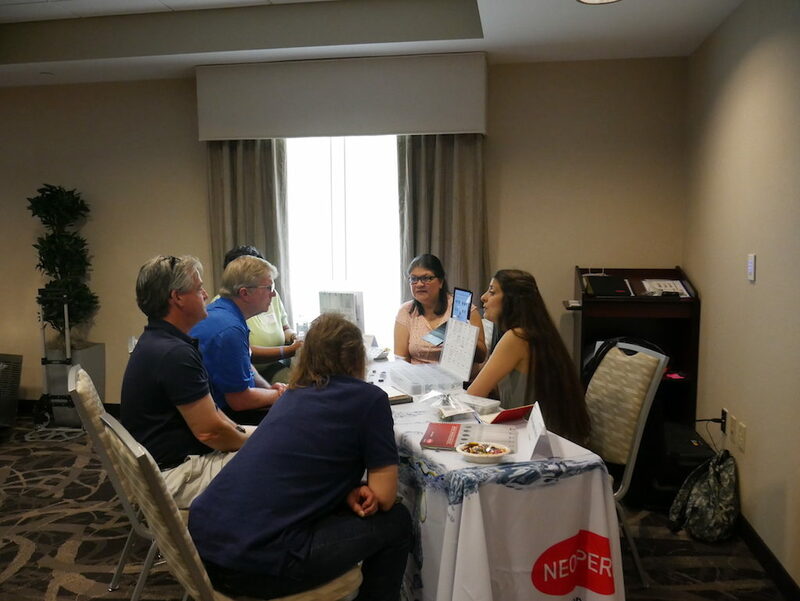 We also had six round-robin style vendor presentations, which further educated us about plumbing repair products, installation requirements, and industry codes. Read on for more details about what we learned during this successful sales meeting. Our motivational speaker was Kelly Roach from Kelly Roach Coaching. Our President, Joel Weiss, and Yolanda Frank, our Purchasing Manager, saw Kelly speak at a North American Plumbing Specialty Distributors (NAPSD) event earlier this year. They were very impressed by her presentation and decided to ask her to speak at our sales meeting. Kelly’s “Rituals of the Most Successful Sales People” were very inspiring. She spoke of the importance of spending time with your customers, listening carefully to their needs, and using your expertise to make informed recommendations. Watson McDaniel is a manufacturer of steam traps, condensate pumps, pilot-operated and direct-operated regulators, control valves, liquid drainers, and other specialty products. They are a family-owned company based out of Pennsylvania that does 90% of their production in the United States. 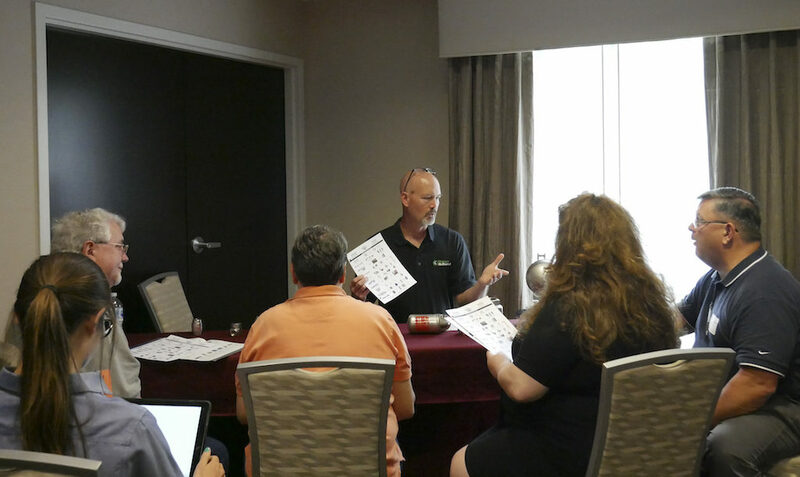 Kevin Morrisey, our Watson McDaniel rep, reviewed a variety of problem-solving products made by Watson McDaniel. He explained how a Watson condensate pump saves water and money by keeping steam loss to a minimum. He also demonstrated how a thermostatic trap works. He said that many pump parts (except discs) made by other manufacturers can be repaired by high-quality, made-in-the-USA Watson McDaniel parts at a lower cost. Fact: Watson McDaniel makes parts that fit all of the industries biggest heat pump manufacturers. Elkay is a leading manufacturer of drinking fountains, water coolers, and bottle fillers. Equiparts has been a Master Distributor of Elkay for 25 years. We have many Elkay units, repair parts, and filters in stock and ready to ship. Casey Devlin, our Elkay rep, talked about the best applications for a variety of Elkay water coolers, which Elkay water coolers can be retrofit with bottle fillers, and information about filters. Sloan is a well-known manufacturer of plumbing fixtures and parts. Equiparts is a Master Distributor of Sloan products, and we have been selling Sloan for over 40 years. Sloan is most famous for their timeless flushometers, innovative electronic faucets, high-quality china and sink systems, and hands-free technology. 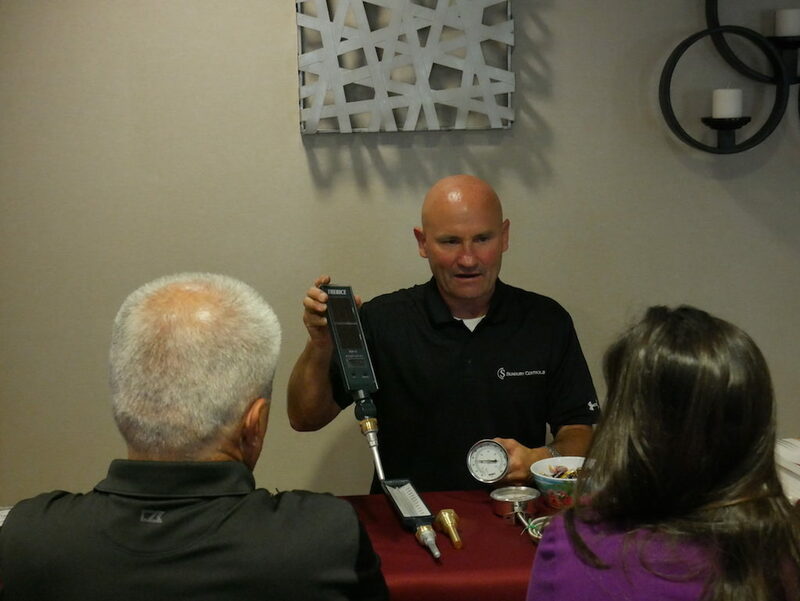 Casey is also our Sloan rep, and he reviewed Sloan sink systems, new faucet-soap dispenser pairings, the benefits of Sloan’s AER-DEC system, and the differences between regular Sloan flushometers and the new reclaimed water system flushometers. Haws is a manufacturer of drinking fountains, bottle fillers, emergency equipment, and tempered water systems. We carry a variety of Haws products at Equiparts. 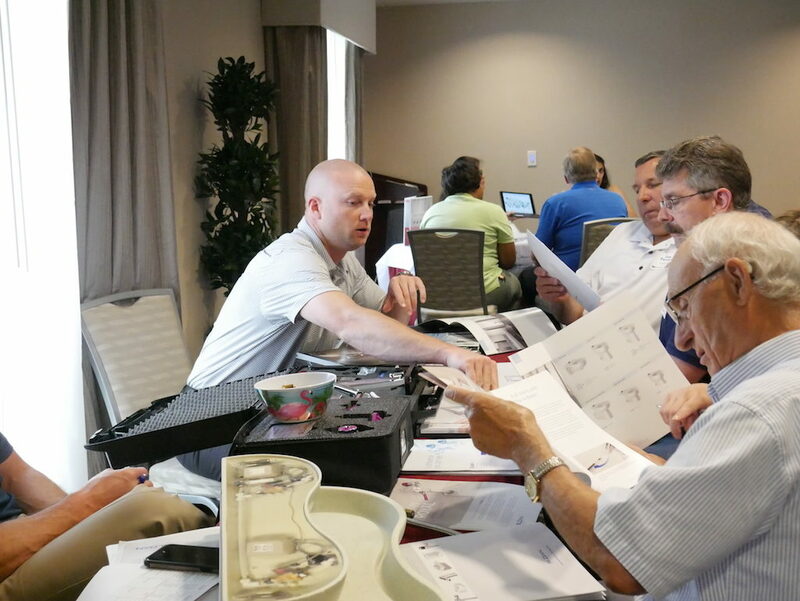 Scott Dolgos, our Haws rep, reviewed the new requirements for eyewash and facewash units. He demonstrated how eyewash stations work, how to install them, and where to best utilize them. Chicago Faucets is one of the top commercial faucet manufacturers. We have carried their units and parts for many years. They continue to create products that push the evolution of the faucet industry. One example is their new line of faucets that have a thermostatic mixing valve integrated right into the faucet. 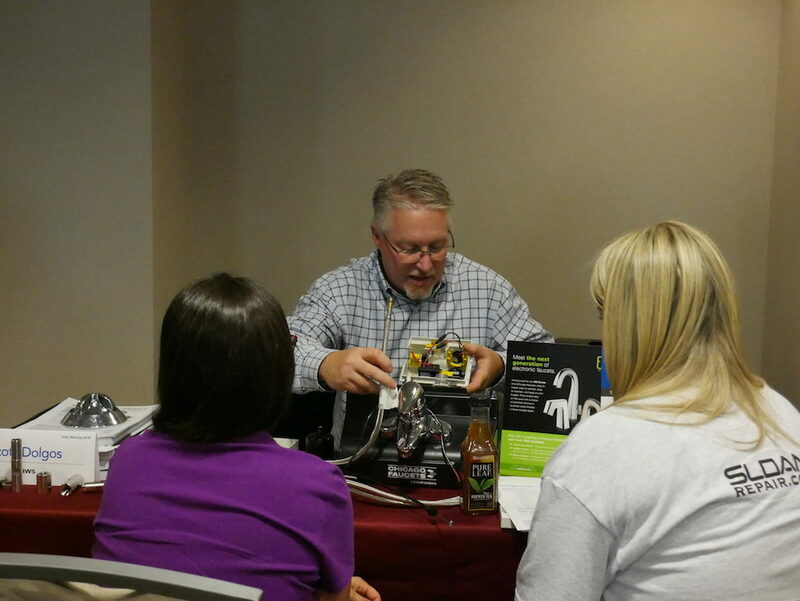 Scott, who is also our Chicago Faucet rep, discussed the newest 410-T Thermostatic faucet option. He also reviewed the EQ faucet series, citing where and how to make sensor and aerator adjustments, as well as water temperature adjustments. Did you know that thermostatic mixing valves are a requirement for every faucet in public buildings within Allegheny County? Neoperl is a manufacturer of aerators, check valves, and flow regulators. At Equiparts, we have a large number of Neoperl aerators in stock and ready to ship. Neoperl creates a variety of traditional, cache (hidden, vandal resistant,) and special faucet aerators. Marie Helene Pernin and Rose McCullough, our Neoperl reps, reviewed the complete line of Neoperl products. They focused primarily on their aerators, describing the various types, which faucets they fit, the benefits of utilizing aerators, and their water saving capabilities. They also reviewed the application of pressure compensating aerators as well. Much of the information Marie and Rose discussed in their presentation can be found in our Commercial Faucet Aerator Guide. Trerice is a well-known manufacturer of pressure gauges, thermometers, valves, regulators, controls, and more. Trerice products meet the needs of a variety of specialized commercial and industrial markets. They have been manufacturing specialty commercial products since 1923. Jesse Smyers, our Trerice rep, described different types of gauges available from Trerice, and which styles are best for a particular customer application. He also explained the benefits of various parts and features. For example, the liquid in liquid filled gauges reduces the vibration of the needle, and are highly recommended for water pumps. Also, pigtail siphons are a must have for steam systems. Pigtails reduce the temperature of the steam by creating a water barrier. This prevents the 500-degree steam from damaging the gauge by cooling it down to around 300 degrees. He also explained that the ideal setup for a steam system includes a pressure gauge, a snubber, and a needle valve. The needle valve is a shut-off valve that can allow you to change out a gauge without shutting down the system. Tip: When buying a gauge, you should select a model whose maximum number is twice the operating pressure of your system. At Equiparts, we continually strive to educate ourselves about the products we sell so that we can provide the best recommendations to fit our customers’ needs. If you’re interested in any of the manufacturer product lines featured in our Spring Sales Meeting, give us a call so we can help you choose the best option. See the other manufacturers we carry in our Product Line Card, or give us a call to start working with one of our knowledgeable product specialists: 800-442-6622 Monday-Friday, 7:30AM-5:00PM EST. View our current sale now: the Summer Spectatular.